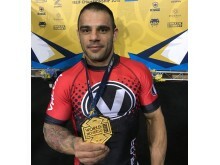 Raphael dos Santos with his gold medal after becoming Master 2 Black Belt Feather Weight world champion. 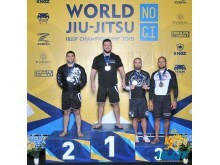 Chico Mendes holds up his bronze and silver in the Master 1 Black Belt division. 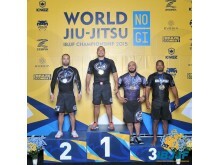 Chico Mendes claims silver in the Master 1 Black Belt Heavy Weight division. 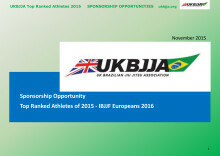 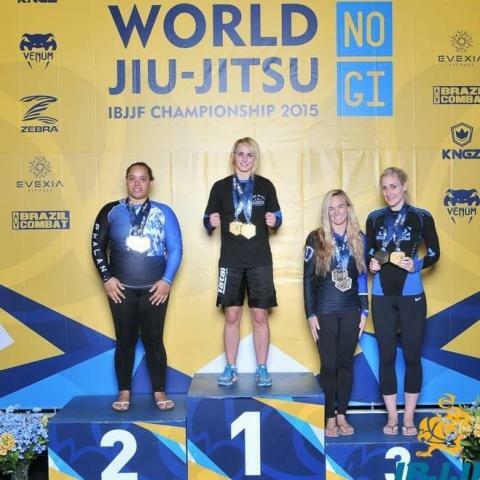 The UKBJJA is sponsoring the top male and female adult in each belt (gi only) to attend the IBJJF Europeans in January 2016. 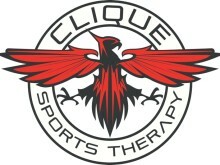 Check out the sponsorship opportunities for your brand here.